AMC Theatres have climbed into the ring with MoviePass, the subscription plan that lets you see a movie a day for $9.95 a month, and they've come out swinging. The new service, called AMC Stubs A-List, rolls out on June 26, and it will allow patrons to see three movies a week for $19.95 a month. Besides the price, the important distinction here is that it's only for AMC's theaters. While those differences might make it immediately less appealing than the cheaper MoviePass, which allows movie-lovers to check out films at multiple chains, there are perks to the AMC Stubs A-List model. According to a press release from the chain, being a Stubs A-List member also entitles you to access to so-called "premium screenings" in different formats like IMAX, Dolby Cinema, and Real 3-D, which are typically off-limits to MoviePass subscribers. It also gives you access to the normal benefits of the pre-existing AMC Stubs Premiere program, including "no online ticketing fees" and "significant food and beverage savings." 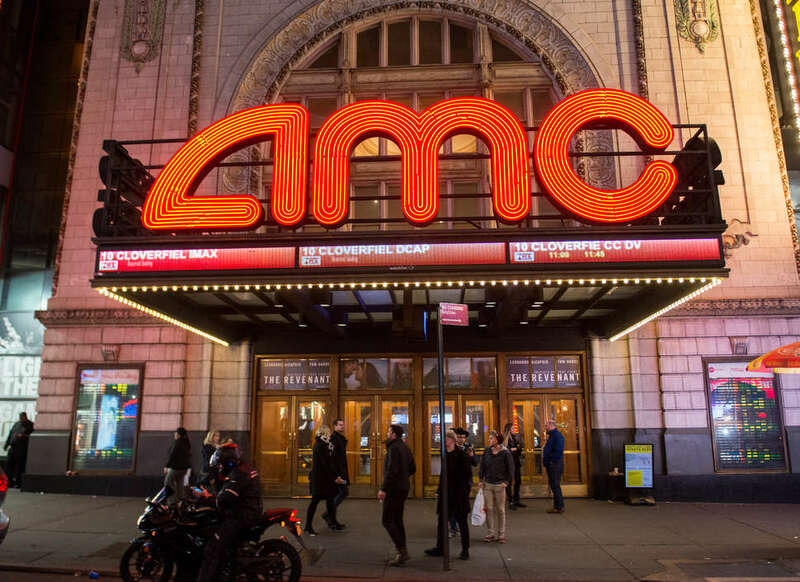 "We believe that our current and future loyal guests will be interested in this type of program, as AMC Stubs A-List rewards guests with something that no one else offers," said Adam Aron, CEO and president of AMC Theatres, in the press release. "AMC Stubs A-List is AMC’s next evolution of delivering amazing benefits to our loyal customers, and we’re excited to continue to grow the program by leaps and bounds." MoviePass goes unmentioned in the press release, but it was likely a factor in the decision making. Earlier this year, the two companies had a brief public feud regarding admissions and concessions, which temporarily resulted in MoviePass dropping a handful of popular AMC locations from its service. It might have been the first skirmish in what will likely be a long war in the movie subscription space. It's been an odd week for Movie Pass, which also generated headlines for its role in releasing and promoting the John Travolta flop Gotti, which received brutal reviews from critics and failed to light up the box office. (The service also released the heist docudrama American Animals earlier this year.) Following the movie's bad press, the Gotti marketing team seems to have embraced a weird populist tone, which you can see from the tweet below. Could a similar social-media-fueled confrontation be awaiting AMC? It's hard to say at this point because, as with all things related to MoviePass, there's an element of mystery at play here. The MoviePass model doesn't exactly appear stable, and as more theater chains introduce their own subscription services, it could be difficult for the company to keep its price point so low. It's a great deal -- practically absurd given the price of an individual ticket in a big city. But how long can it last? Similarly, if MoviePass drops its price again, its hard to imagine theater subscription services keeping the same low rate. All these subscription services share a similar goal -- get you off your couch and away from Netflix -- but they can't all win. Whether that means a compromise will be reached or a Gotti-like whacking is on the horizon remains to be seen. For now, enjoy the cheap movies.